With the start of April, spring is well and truly underway, announcing a host of exciting literary festivals that make for the perfect mid-week or long weekend getaway to enjoy books, a shimmer of sunshine and to put a spring in your step (see what I did there?!). If you're unable to get the time off work or family life to spend a few days emerged in reading and writing inspiration, then perhaps the book launches or author panels taking place in the evening hours across the UK will be able to satisfy your literary cravings for the month instead. Have a look at the women's fiction outings we've rounded up for you below, and make sure to let us know if you visit any! 5-14 April – If you're in or around Cambridge in April, do pay a visit to the Cambridge Literary Festival which hosts the likes of Tracy Chevalier, Wendy Holden and Linda Grant. Tickets vary in price but are roughly £6-£10 per event. 7 April – Waterstones Walton-on-Thames is hosting the book launch for The Second Love of My Life, the debut novel from Victoria Walters - who also happens to work at the shop. Join them for nibbles and refreshments as Victoria signs copies of her book on what promises to be a very exciting evening. 8 April – Journalist and author Mhairi McFarlane became an instant literary star with her debut novel You Had Me At Hello, which is currently in development as a film with the author herself penning the screenplay. Come and see Mhairi in conversation with Nottingham Evening Post's Simon Wilson, over wine and nibbles as Waterstones Nottingham launch the new title, Who's That Girl?, from a truly magnificent local talent! 14 April – Do you want to attend a book launch this month but Walton-on-Thames is too far out? Then you might be in luck as Laurie Ellingham is hosting a launch for her novel, How to Throw Your Life Away, at The Swan in Stratford St Mary. It's free to attend, just make sure you RSVP. 14 April – Start your day with a burst of creativity! Write and Shine workshops fit around your busy lifestyle. They offer a stimulating environment to write and to meditate on the inspirational power of the morning. The classes are open to everyone, whether you're new to writing, have some experience or just want to inject some creativity into your working day. This session takes place at Waterstones Piccadilly. 19 April – See Lisa Owens (Not Working) and Anna Raverat (Lover) in conversation with their editor Francesca Main at independent bookshop Lutyens and Rubinstein in Notting Hill. Tickets are £5-£10. 19 April – Erica James (The Dandelion Years) will be visiting Norwich to talk about her latest novel, The Song of The Skylark, set in neighbouring Suffolk. There will be a talk, followed by a book signing. Tickets are £4, redeemable against a purchase of The Song of the Skylark, and include a free glass of wine. 20 April – Join Santa Montefiore for an intimate Literati event with afternoon tea! To celebrate the launch of her latest novel, Songs of Love and War, Grosvenor House in London is hosting an intimate Literati event with the opportunity to enjoy afternoon tea with the bestselling author. Tickets are £45, which includes champagne afternoon tea, and a signed copy of the author's book. 21-24 April – Chipping Norton Literary Festival has another cracking line-up this year, from writing workshops on finding your voice and sense of place, to panels with the likes of David Nicholls, C.L. Taylor, Julie Cohen, Rowan Coleman, Fanny Blake, Hannah Beckerman and Amanda Jennings. These are ticketed events, so check out their website for more information on pricing and how to book. 23 April – This month also sees another edition of the fabulous World Book Night. Even if you're not a giver this year, there are a host of events across the country where you can get your bookish fix. The flagship event is being held at the British Library in London and includes an author panel with the likes of Cathy Rentzenbrink, Matt Haig and Holly Bourne. Tickets are £20 and also include access to the Shakespeare in Ten Acts exhibition. 24 April-1 May – With Writers' Bootcamps, Masterclasses galore and appearances from the likes of Mary Portas and Jill Dawson, this year's Stratford Literary Festival is looking to be a real treat for readers and writers alike. Events are ticketed, so make sure you check out their website to make your bookings. 26 April – Tracy Chevalier, author of the bestselling The Girl with a Pearl Earring, The Last Runaway and new novel At the End of the Orchard, will be joined by authors and fellow contributors Lionel Shriver (We Need to Talk About Kevin), Joanna Briscoe (Skin) and Kirsty Gunn (The Big Music) to discuss their work Reader, I Married Him, a short story collection celebrating Charlotte Bronte's life. Tickets to the event, taking place at Foyles Charing Cross Road, are £5 and include a glass of wine. 28 April – Waterstones Liverpool welcomes internationally acclaimed and bestselling author Joanne Harris (Chocolat) as she reads from and discusses her latest novel, Different Class. Tickets are £4/£3. And that's it for April! Please comment below or tweet me on @zarinatweets if you'd like me to include your bookish event in an upcoming post. Spring is almost upon us! To accompany the season of new beginnings a whole host of exciting books are released in the upcoming weeks, both debut novels and much-anticipated works by established writers. This upcoming month you'll have the opportunity to meet many of the authors behind these releases at signings, launches and other events of the bookish variety. 26 February - 6 March – The Bath Literature Festival kicked off in February but there are some great events taking place in March too, including Deborah Moggach (The Best Exotic Marigold Hotel) and Tessa Hadley (Clever Girl) on 1 March, Lucy Diamond (Summer at the Shell Cottage) and Lindsay Hawdon (Jakob's Colours) on 4 March, and Tracy Chevalier (Girl With a Pearl Earring) also on 4 March. Tickets for all these events are £9 each. 1-31 March – The Trouble With Goats and Sheep is the much-discussed debut novel by Joanna Cannon. Joanna is visiting a whole slew of book shops this month to chat about her fab book, so be sure to pop by if you're in Manchester (1 March, £4), Birmingham (2 March, free), Doncaster (3 March, £1) or Salisbury (31 March, free). 3 March – Join the Tinder Press Party at Dulwich Books with authors Sarah Duguid (Look at Me), Sarah Leipciger (The Mountain Can Wait) and Rebecca Mackenzie (In a Land of Paper Gods) for just £3. 3 March – Waterstones Chelters is celebrating some exciting new releases during their evening with Dinah Jefferies (The Silk Merchant's Daughter) and Kate Riordan (The Shadow Hour). Tickers are £3, including refreshments. 6 March – Authors Holly Bourne (Am I Normal Yet?) and Eve Ainsworth (Crush) will be discussing the passion and power of female friendship: the wonder women of literature at this event in Manchester. Tickets are £3 and include refreshments. 9 March – We reviewed the gorgeous The Dandelion Years by Erica James last year and you lucky folks in Colchester can meet the author as she will be signing copies of her new novel, Song of the Skylark at Waterstones on the High Street. 10 March – Celebrate the launch of The Finding of Martha Lost with its author Caroline Wallace in Liverpool! Tickets are £3/£2. 10 March – Antonia Honeywell (The Ship) will be discussing a book that inspired her at Waterstones Islington. The Ship was one of my favourite novels of 2015 so do check it out. Tickets are completely free but booking is recommended. 12 March – Writing the anticipated 'the end' is not actually the end of your book's journey, next comes ensuring people discover your novel and getting engaged with readers. This masterclass by Rachel Abbott (Only the Innocent) take place in London and delves into how to promote your book. Tickets are £249 and include lunch. 12 March – Celebrate the launch Catherine Miller's debut novel, Waiting For You, at Oasis Down to Earth Farm in Southampton. Tickets are £4/£1 and include farm entry, tea/cake, craft activities and a raffle. 15 March – Join Sarah Winman (When God Was a Rabbit) at The Bookshop in Bath, where she'll be discussing her new novel, A Year of Marvellous Ways. Tickets are £6/£7. 17 March – This month's Bloomsbury Book Club hosts Meg Rosoff, in conversation with Stylist editor Lisa Smosarski, to discuss her highly anticipated debut adult novel, Jonathan Unleashed, at their offices in London. Tickets include drinks and are £20 with a hardback copy of the book and £10 without the book. 19 March – How do you convey your characters' feelings, thoughts and emotions in a convincing way? This workshop by author Susan Elliot Wright (The Things We Never Said) in Crookes will help you to decide when (and how) to show, and when it's ok to tell. You'll learn how to write sparkling dialogue that helps to advance your story and deepen your characters. Tickets are £40. 23 March – Always wanted to meet Sophie Kinsella (Shopaholic series)? Now is your chance! The author is joined by writer Laura Dockrill (Lorali) at the Penguin Random House offices in London to discuss their childhoods and how to write for younger audiences. Tickets are £15 and include two glasses of wine. And that's it for March! Please comment below or tweet me on @zarinatweets if you'd like me to include your bookish event in an upcoming post. Did you spend the majority of January cooped up inside, curled up in a cosy fleece blanket and with a stack of books and tissues on your nightstand? Maybe that was just me... In February I'm determined to spend more time in bookshops than I have done in the past month so I already have tickets booked for the Foyles events on the 3rd and 25th! What bookish dates are you adding to your diary this month? 1 February – Faber Social and Literary Friction is hosting an exciting New Voices event in London featuring authors Ned Bauman, Joanna Cannon and Evie Wyld, in addition to new poets and debut performances. Tickets are £8. 3 February – Liverpool ladies are in for a treat this month as three women's fiction authors will be discussing their latest books and their previous bestsellers as well as talking about the sheer delight of a good read. You can join Amanda Brooke (Another Way to Fall), Jane Costello (All The Single Ladies) and Debbie Johnson (The Birthday that Changed Everything) for £3/£2. 3 February – Join Foyles Charing Cross Road for an inspiring evening of readings and discussion with acclaimed authors to celebrate the 10th Anniversary of Quick Reads and the launch of the 2016 books. Chaired by Cathy Rentzenbrink, the evening's writers – Fanny Blake, Rowan Coleman, Matt Haig, Elizabeth Buchan and Veronica Henry – will take the stage to read from their short stories collected in The Anniversary, edited by Veronica Henry, to celebrate this landmark year. Tickets include a goodie bag and glass of wine and are completely free, but you do need to book in advance to secure a spot. 4 February – Dulwich Books is hosting two brilliant new voices; Monica Wood (The One-in-a-Million Boy) and Jem Lester (Shtum) at their London bookshop. Tickets are £10 and include wine and signed proof copies of both books. 9 February – American Housewife by Helen Ellis has already received a lot of praise and you can join her in conversation with fellow author Shelley Harris (Vigilante), as she discusses her delightfully unhinged collection of stories at Waterstones Piccadilly. Tickets are £5. 9 February – Live in or near Birmingham? Then you can attend the book launch of the new novel by Clare Morrall, When the Floods Came! If you would like to be a part of this special evening just contact Waterstones Birmingham High Street via phone, twitter or in store to reserve your seat. 15 February – Nottingham! The amazing Marian Keyes will be visiting your Playhouse to talk about her new collection of essays, Making It Up As I Go Along. Tickets are £12.50 (or £22, including a signed copy of the book). 17 February – Is Nottingham too far North for you? Waterstones Trafalgar Square in London is also hosting a special evening with Marian Keyes, in conversation with Sam Baker, editor-in-chief of The Pool. Tickets are just £5/£3, so book yours now! 22 & 24 February – You've likely already heard all about The Trouble With Goats and Sheep by Joanna Cannon, which is an incredible 2016 debut and you can meet the author this month in Liverpool (tickets are £3/£2) or Derby (tickets are free for this event). 23 February – Waterstones Birmingham High Street has another treat in store for visitors this month with an author talk and signing with Katie Fforde, to celebrate the release of her latest novel, A Summer at Sea. Tickets are £3. 25 February – Ever on the hunt for new literary voices, Foyles Charing Cross Road brings together a panel of authors and an audience of readers to explore the road to publication and what lies beyond. This time they're working with leading indie publisher Bloomsbury to bring you authors Ann Morgan, Paul M. M. Cooper and Holly Müller. Tickets are free and you'll get pizza and a drink as well, so what are you waiting for? Book now! 26 February – Bath Literary Festival starts this month! While the bulk of the events take place in March, February does already have some fabulous bookish fun scheduled including Ask a Literary Consultant (27 February), Creating Suspense with Sam Baker and Susie Steiner (28 February), The Big Bath Read: Claire Fuller (28 February), Marian Keyes in conversation with Sali Highes (28 February) and Rosie Millar and Elizabeth Day: The City in Fiction (29 February). Tickets for all events are £9/£8 each. 27 February – As an aspiring author the Discovery Day with Curtis Brown and Conville & Walsh is not to be missed as you'll get a six-minute one-on-one session with an agent who'll read your opening page and hear your 30-second verbal pitch before offering their feedback. Then you'll head to a short group session with fellow writers and agents, where you can ask questions about the writing and publication process. The free event is fully booked but they do operate a wild card queue on the day, check out their website for more details on that. As the year draws to a close, we see a considerable slump in reading and writing events across the UK. Most people will be busy wrapping gifts (books, obviously), writing Christmas cards and generally spending a lot of times indoors curled up with an engrossing novel while listening to some festive tunes. However, if you are are going to pop out and brave the weather anyway (perhaps to do some last-minute shopping for literary presents), why not check out one of the book events happening this month? There are some seasonal crackers! December – The Alice in Wonderland exhibition at the British Library in London is well worth a visit. First you stumble into Wonderland with an illustrated journey through the iconic story, before getting to ooh and aah over the original manuscript handwritten and illustrated by Lewis Carroll and a host of other exciting behind-the-scenes snippets of the classic tale, bringing you right back to the 21st century. The exhibition is completely free and running until April 2016, with a dedicated pop-up shop (which is amazing by the way) until January 2016. 3 December – If you are in London or can get to the city this week you're in for a real treat as Waterstones Piccadilly is hosting their annual free Christmas Extravaganza with authors from the likes of Laura Barnett, Jonathan Coe, Zoe Gilbert and many more. There will also be music, poetry reciting, cocktails, music and lots of other festive joy. 3 December – If London is too far south for you, perhaps the Christmas Cracker event at Edinburgh West End Waterstones is more up your alley. There will be readings from authors Lucy Ribchester, Catherine Simpson, Chris Close and Angela Jackson and festive tipples to boot! 4 December – Christie Barlow will be in store signing copies of her new book The Misadventures Of A Playground Mother at Waterstones Wrexham. 5 December - Have you been trying to get an agent for yonks but haven't had any success so far? How to Hook an Agent is a half-day event with workshops on finding the right agent, submission packages and how to pitch your novel. There will be agents in attendance going over the dos and don'ts of the process, followed by 10 minute one-to-one sessions where you have the opportunity to pitch your book to an agent yourself! Tickets are £149. Writers across the globe simultaneously live towards and dread the month of November. 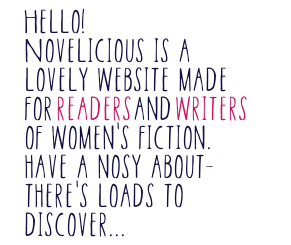 Not because it is awfully close to Christmas and they realise they haven't done any of their festive shopping and/or card writing yet, but rather because it announces the start of NaNoWriMo (National Novel Writing Month). It is a great way to kick your poor writer's block deprived brain into action while neglecting your day job, family and any social outings until November 30th. If you need a break from the action, or would like to be inspired by listening to a talk or two with published authors or attend a workshop on how to get the most from your writing, then we recommend you visit at least one of the events in this month's Dates For Your Diary. 3 November – For a thrillingly good night in this week, check out Fabulous Magazine's latest event at Sun HQ where readers have the opportunity to listen to a Q&A with authors Erin Kelly, Clare Mackintosh & Colette McBeth, while enjoying a glass of wine. After the panel there is the opportunity to get books signed and mingle with the guests of honour, and tickets for the full event are just £5. 4 November – Chorleywood Bookshop is hosting a fun fiction food evening with Tasmina Perry, Stella Newman and Louise Lee. For £8, the evening promises to be the perfect recipe for fun and laughter with a trio of stellar women's fiction authors. 4 November – Join Dorothy Koomson at the opening day of the new Camberwell Library for a chat about her latest novel, That Girl From Nowhere, her life and her career. It's totally free to attend but advance booking is essential. 6-27 November – The Richmond Upon Thames Literature Festival is filled to the brim with books and works, tales and talks, and events and ideas. Highlights include a panel with 'killer women' Erin Kelly, K.T. Medina and Laura Wilson (18 November, £7.50/£6), a discussion on writing about forgotten women in history (20 November, £10/£8.50), and a workshop on writing genre fiction (26 November, £6). 7 November – Do you want to know more about self-publishing in the digital age? Then this conference from Writers & Artists might be just the thing for you. The full-day event includes insightful workshops on themes such as editing, cover design and knowing your rights as an indie author, as well as the opportunity of one-on-one advice. Tickets are £95. A conversation with debut authors and pizza in London, a literary afternoon tea in Manchester, and fizz and fabulous company in Sherborne... We're sensing a foodie theme to the bookish goodness in October and we're loving it! 28 September-4 October – We mentioned Henley Literary Festival last month, as it started in September, but we want to reiterate some of the fabulous events happening in early October: Proof Party with Tinder Press (1 October, £9), Book Club Friday with our very own Cesca Major (2 October, £7), and a Writing Workshop with Claire McGowan and Tasmina Perry (4 October, £7). 1 October-2 December – Off the Shelf in Sheffield is one of the largest literary festivals in the UK. Events we're particularly excited for include: a discussion with Man Booker Prize-shortlisted author Karen Joy Fowler (7 October, free), A Slice of Sheffield with local author Susan Elliot Wright (10 October, £4), DIY Publishing (13 October, free), Fictionalising Your Own Experience workshop (17 October, £8) and Novel Slam 2015, where you can pitch your novel in front of a panel of published writers and have the opportunity to get your novel read by a literary agent (27 October, £5)! 2-11 October – Wimbledon will be taken over by Bookfest 2015 this month, boosting plenty of events across the ten days it is running for. For women's fiction readers and writers of particular interest will be a conversation with author Lisa Genova (8 October, £12.50) and a panel on How to Get Published (11 October, £10). Summer might be coming to a close and lazy days spend in the garden or in your local park will soon have to be swapped for cosy indoor activities. Fear not, book lovers. September is a bumper month for literary festivals across the UK and book launches in Ireland, so there are plenty of other things to do to satisfy all your literary needs. 2 September – Asking For It by Louise O'Neill is one of the most talked about novels in recent months, as it focuses on the hotly discussed topic of whether women are 'asking for it' by dressing or acting in a certain way. We all know what the right answer is here, they're not, and yet they still get judged even if they're the victim. Want to discuss the controversial topic with the author herself? You can by attending the launch party at Eason O'Connell Street in Dublin. 8 September – Join the Literati at Grosvenor House in London for a very glamorous evening with the legendary Jackie Collins. Tickets are £25 for an intimate and interactive discussion with Jackie, a signed copy of her new book, The Santangelos, welcome drinks and canapés. 7 September – Love Victoria Hislop's books? Then you'll want to attend the 10th anniversary event of The Island, which includes a UK screening of the Greek TV show based on the book and a Q&A with the author. Tickets are £25 and attendees will also receive a special edition hardback copy of the novel and a goody bag. 8 September – What if you went missing but couldn't remember anything? Kate Pearson has no memory of her abduction when she was 12. Then, more than two decades later she receives an anonymous note: "I remember you, Kate". Join Louise Phillips for the launch of her new novel, The Game Changer, at The Gutter Bookshop in Dublin. From literary lunches to book quizzes and a writers' summer school to a rooftop book club, there is plenty to enjoy of the literary variety throughout August. So get your booking finger ready and be inspired by workshops, panel discussions and Q&As with some of your favourite authors! 1 August – Join bestselling authors Lucy Dillon, Chris Manby and Fiona Walker at a literary lunch in Cheltenham, Gloucestershire, where they'll be talking about their books and you can talk to them about yours! Tickets are £35 and support Cancer Research UK. 4 August – Blackwell's in Central London (which moved from Charing Cross Road to Holborn) is hosting a book-themed quiz night! Teams of four (max) will be pitted against each other in order to win spot prizes throughout the night and a top prize of Blackwell’s vouchers and, of course, glory and bragging rights. Tickets are free, but make sure you book for every attendee and come prepared with a hilarious literary team name! 6 August – Join Cathy Rentzenbrink for a literary afternoon tea at the Bay Restaurant in Penzance. Hosted by Edge of the World Bookshop, Cathy will discuss her beautiful memoir The Last Act of Love. Tickets are £5 and include tea or coffee and cake. 8-14 August – Swanwick Writers' Summer School provides courses, talks and workshops across a variety of genres. From a short course on romantic fiction with Sue Moorcroft to publishing panels, and from PR and marketing for writers to plotting a historical murder – the range of topics covered tailor to writers of all genres. Tickets range from £90 for day visitors to £535 for a week's stay including meals and accommodation. Will you be heading off to warmer shores (accompanied by a suitcase full of summer reads, of course) or are you having a staycation and enjoying the latest novels from the comfort of your own garden or local park? Whatever your plans this July, make sure to clear some time in your diary for some of the fab bookish events happening across the UK! 3 July – Carys Bray (A Song for Issy Bradley) will be in conversation with fellow author Amanda Brooke (The Missing Husband) at the Wordpool Festival in Blackpool where they will discuss the inspiration behind their latest novels and what happens to a character when their world is suddenly changed overnight. Tickets are £3/£2.50. 4 July – Meet popular women's fiction Giovanna Fletcher at Waterstones Bluewater, where she will be signing copies of her much-anticipated new novel, Dream a Little Dream. 7 July – Deborah Moggach (author of among others The Best Exotic Marigold Hotel) will be at the Telegraph's Way With Words Festival to talk about the inspiration behind her new novel, Something to Hide. Tickets are £10. 8-11 July – Penzance Literary Festival in Cornwall sees the official launch of Laura Barnett's much talked about novel The Versions of Us at Edge of the World bookshop (free), Nina Stibbe in conversation at the Acorn Theatre (£3/£2) and a host of insightful writing workshops on topics such as self-publishing, writer's block and editors' reject piles. 10 July – Waterstones Glasgow (Argyle Street) will welcome local author Joanna Bolouri to the shop to discuss her latest novel I Follow the Rules, for what they promise to be an entertaining evening, followed by a book signing! 11 July – Ampthill Literary Festival will feature the likes of Jenny Eclair and Lisa Williamson for a jam-packed day of writing and reading inspiration. Check out the full list of author appearances and events on their website. Ah June; skirts and sandals weather, lazy Pimm's picnics in the park, and barbecues that last all weekend long, And bookish outings, of course! 4 June – Adele Parks is hosting a glam launch party in London to celebrate If You Go Away! Tickets to the riverside event are £15 and include an interview with the author, a hardback copy of the book, drinks and canapés. 4 June – Have a cupcake (or two) with author Carole Matthews to celebrate her latest novel, The Cake Shop in the Garden, at Northwich Litfest 2015. Tickets are £8. 5 June – Women's fiction favourites Lucy Diamond and Veronica Henry are joining forces for readings and bookish fun at Walter Henry's Books in North Devon. It is free to attend but booking is essential. 9 June – You've finally finished your novel, but now comes the task of making the world read your work. No idea how to promote your book after you've written 'the end'? The Guardian is hosting a masterclass tackling this issue and you can join them in London for £99. 10 June – June's authors for Speakeasy at London's Drink, Shop, Do are Viv Groskop, M.R Carey and Tyler Keevil. It's free to attend but booking is recommended for good seats. It’s May you guys, which means an abundance of spring flowers, actual rays of sunshine peaking through the clouds and the start of sizzling summer novels popping up in the book shops. It’s one of the best times of the year for women’s fiction releases and before you pack your suitcase full of cosy reads to accompany you on your holiday, you have the opportunity to meet many of the lovely authors who wrote the books as they will be making appearances across the UK to celebrate their new novels! 4-16 May – London doesn’t have all of the fun, as the Swindon Festival of Literature brings thirteen days of literary frolics to North Wiltshire, including Writing Motherhood with C.L. Taylor, Rowan Coleman and Carolyn Jess-Cooke (£7), and Finding Truths in Fiction with Patrick Gale and Eve McBride (£8). 8-16 May – Famous for the fantastic I Heart and About a Girl series, Lindsey Kelk has a new stand-alone novel coming out this month, Always The Bridesmaid, and she’s holding pen parties (aka signings) at various locations across the UK to celebrate! So if you are in or near London, Southampton, Guildford, Manchester, Gateshead or Glasgow, be sure to read all about the pen parties on Lindsey’s website. 8-24 May – Norfolk & Norwich Festival is the place to be in East England this month for a host of exciting arts activities. For book lovers there are many fun events scheduled, such as Writing Families with Sarah Waters and Sarah Perry (£12), a day course in Nature Writing by the Sea (£120), and a talk titled Do It Like a Woman … Change the World. (£8). With literary lunches, writing workshops and musical interpretations of classic tales, March is set to be a bumper month of bookish fun – and we have compiled a handy list for you of some of the most exciting upcoming events for readers and writers. 1 - 30 March – With over 60 events across Essex Book Festival, this month-long literary event will have something for everyone. We’re particularly excited to see appearances by SJ Watson (Before I Go to Sleep), Jessie Burton (The Miniaturist) and Samantha Shannon (The Bone Season), but have a browse of the programme to see what else bookish tickles your fancy. 3 March – Author Rowan Coleman (The Memory Book) will be discussing ‘The Writing Process: Voice’ in this masterclass from Writers & Artists at Bloomsbury Publishing in London. Tickets to the two-hour long event filled with practical tips and techniques are £30 and include welcome drinks. 12 March – Matt Haig’s latest novel, Reasons to Stay Alive, is an honest and personal account of depression. He’ll be talking to Cathy Rentzenbrink, associate editor of The Bookseller, at Foyles on Charing Cross Road in London about his experiences as described in the book. Tickets to the event are £5 and include a drink.